One for the purists - SOLT Tobacco is full of bold tobacco flavour, providing a rich and authentic experience with a creamy undertone to each inhale. 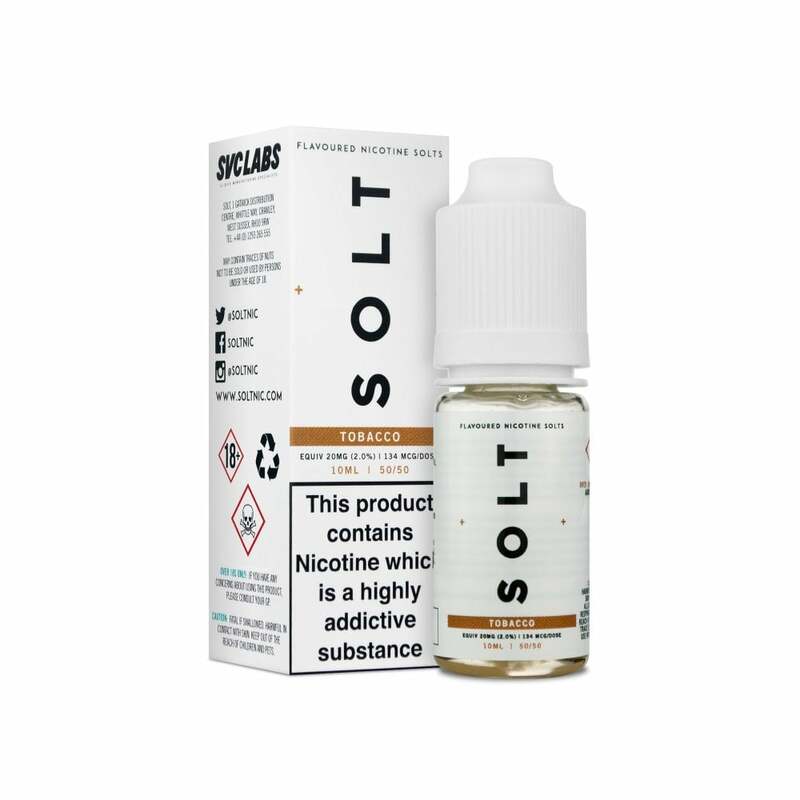 If you’re looking for a classic tobacco backed up by nic salts, SOLT’s Tobacco e-liquid is perfect. Far and away my favourite tobacco flavour. I've tried many and have been disappointed by most, but this is my all day vape. I've found the best flavours for me are slightly sweet creamy tobacco flavours, and that the more authentic straight tobacco ones don't translate well to vaping. I used this to wean off my Juul golden tobacco pods and was delighted to find I actually prefer this. Great service from Electric Tobacconist too. Excellent e liquid this is my second purchase of this product, all i want is a reliable tobacco tasting vape and this gives exactly that well done that company. Good tobacco flavour. A bit on the sweet side but a nice, smooth vape. Love the juice, hate the childproof cap! Reminiscent of Mr. Salt, perhaps. A little sweet but not unbalanced. Found it had more flavour than Nic Rush, Gold Rush & Ionics. Nothing has beaten Dr. Salt yet but that stuff also devastates coils!